Dr Brian Dickinson | Oncoplastic Reconstruction Following Lumpectomy for Breast Conservation. 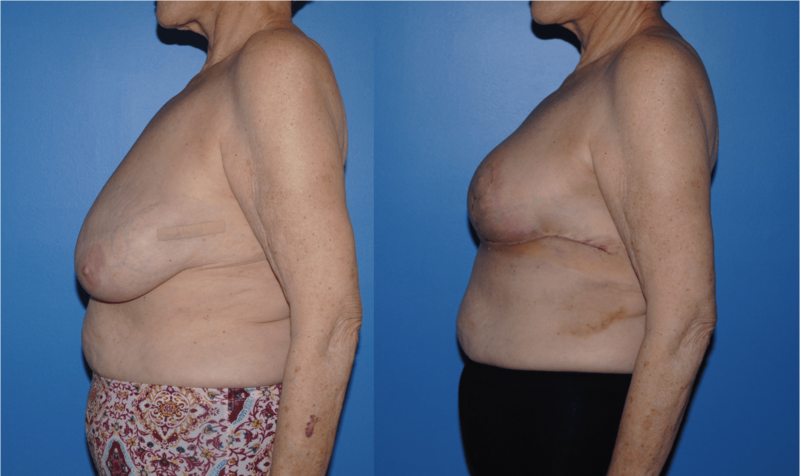 Early Post-Operative Results. What to Expect? Home Breast Reconstruction Oncoplastic Reconstruction Following Lumpectomy for Breast Conservation. Early Post-Operative Results. What to Expect? Patients who undergo lumpectomy have different options for breast reconstruction. In patients who have relatively larger breasts, smaller tumors, and who have breast ptotis may be able to have their tumor excised with a lumpectomy and their breast reconstructed with the same patterns that we use for a cosmetic mastopexy or breast reduction. It is quite common for patients to undergo surgery to be scared or frightened. This can be even more exaggerated when their first surgical or medical encounter deals with cancer. After surgery the incisions are covered with a xeroform gauze and a Bacitracin ointment. The dressings are removed the following day. Patients are allowed to shower two days later. The incisions commonly develop scabs or small areas of delayed wound healing. The areas of delayed wound healing can often be mitigated in patients who are thinner and who have a diet high in protein. One of the most significant correlations of poor wound healing is Body Mass Index, nutrition, and prior radiation. In general patients should ingest approximately 1-2 grams of protein for every kg of body weight in the peri-operative period. Bruising and swelling are common in the post-operative period. The scabs that may form typically fall off over three to four weeks. Bruising is normal and is often from the injection of local anesthetic to provide an appropriate local anesthetic blockade.